What does Terrelle mean, details, origin, short & easy attributes? The name Terrelle is an English baby name. In English the meaning of the name Terrelle is: Powerful. Terrelle is baby boy name mainly popular in Christian religion and its main origin is . Terrelle name meanings is Modern coinage. Other similar sounding names can be Terrell. Popular personalities with Terrelle Name. 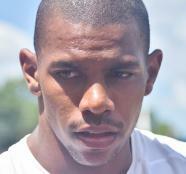 Terrelle Pryor is a football player. Terrelle was born on June 20th, 1989 in Jeannette, Pennsylvania. Terrelle Smith is a football player. His most notable accomplishments were from 2000 to 2009. Terrelle was born on March 12th, 1978 in West Covina, California.